Nobody makes the little things in baseball more exciting than Cubs infielder Javy Baez, and he did it again today against the Tigers. A steal of home is, of course, alright pretty thrilling. 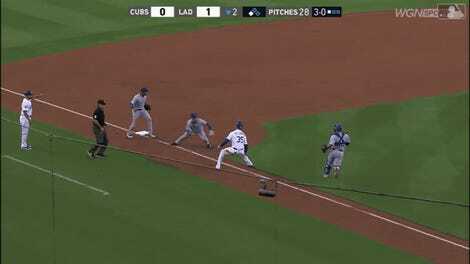 But watch the subtle yet significant way Baez contorts his body for the swim-move slide to avoid a seemingly easy tag from catcher James McCann, and tell me that doesn’t tickle your pleasure centers. One man can’t be that smooth. He just can’t.